NEW YORK, NY, TUESDAY, MARCH 22 – As corporations and their investors look for improved tools to help them assess a full range of human rights, including trafficking and slavery risks in global supply chains, a new reporting framework has stepped in to fill the gap. 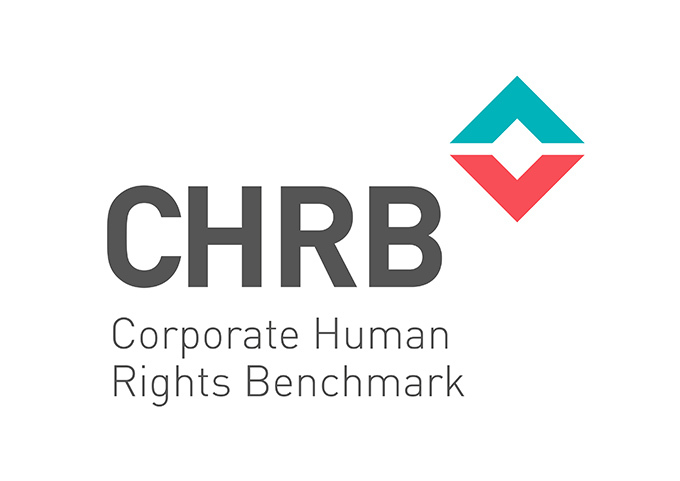 The Corporate Human Rights Benchmark (CHRB), formally launched yesterday, is an independent and voluntary reporting system that will rank leading companies on their human rights policies, processes and performance. The intention of the CHRB is to facilitate evaluation of corporate performance on key human rights KPIs, exposing where companies are excelling and where they need improvement and to provide a clear benchmark of individual performance against peer companies. The CHRB was developed by Aviva, Eiris, VBDO, The Business and Human Rights Resource Center, Calvert Investments and the Institute for Human Rights and Business, a combination of responsible investors and human rights NGOs well-versed in the implications of human rights performance for businesses. The CHRB initiative encourages the competitive nature of markets and corporate management by fostering a “race to the top” to drive improved human rights performance and build best practice standards. Initially focusing on a list of 100 companies in three high-risk sectors —agricultural products, apparel and extractives —the CHRB will measure company performance against a set of targets, and benchmark that performance against sector peers. The ultimate goal is to expand the participation in the CHRB to the top 500 global companies. ICCR staff and members provided extensive input for the development of methodology during the comments period, much of which has been incorporated into the final benchmark. “We support the creation of the Corporate Human Right Benchmark (CHRB) which will provide investors with a free public ranking of major companies starting with particularly exposed sectors on their human rights performance. We are delighted that the CHRB has made specific reference to the UN Guiding Principles Reporting Framework in many of its indicators,” stated Lauren Compere, Managing Director, Boston Common Asset Management. Currently celebrating its 45th year, the Interfaith Center on Corporate Responsibility is the pioneer coalition of shareholder advocates who view the management of their investments as a catalyst for change. Its 300 member organizations comprise faith communities, socially responsible asset managers, unions, pensions, NGOs and academic institutions representing combined assets of over $100 billion with a record of corporate engagement that has demonstrated influence on corporate policies that further justice and sustainability. ICCR members engage hundreds of corporations annually in an effort to promote greater corporate accountability on questions such as climate change, corporate water stewardship, sustainable food production, human trafficking and slavery in global supply chains and increased access to both financial and health care services for communities in need.